Dixie Stampede: It’s Medieval Times……Country Style! Introducing Dolly Parton’s world renowned dinner arena and restaurant where the music and festivities of Branson, MO come full circle all in one show that is certain to entertain and edify your students as you spend your trip here in the beautiful state of Missouri. Silver Dollar City: It’s not just a theme park….it’s an entire new world. Tired of the same old rollercoaster and mediocre food motif at every theme park? Well, you’ve come to the right place! Silver Dollar City is an old time country experience like none other with everything from different kinds of country cookin’ to musicians on the porches of old-fashioned cottages playing their guitars and their fiddles. There is something for everyone at this grand place that celebrates the good ole days in vast array! 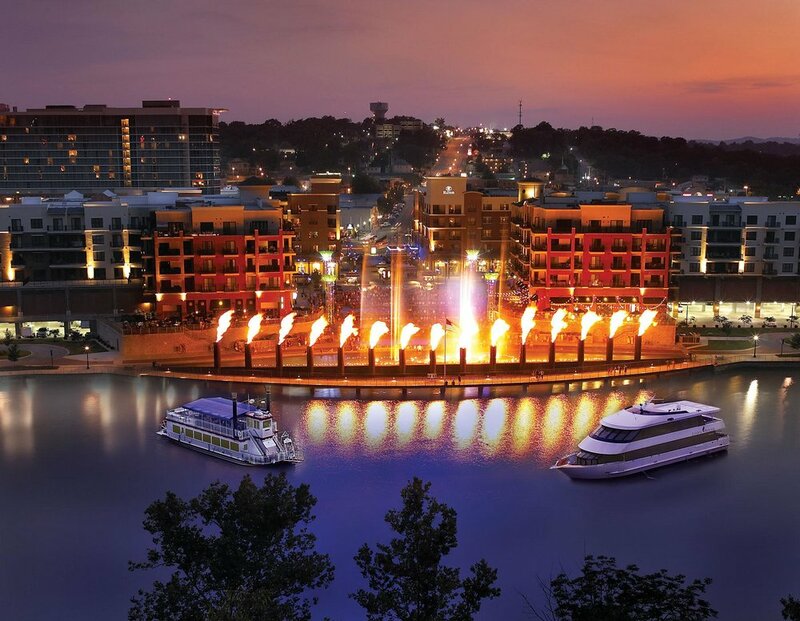 Branson Landing: Bring your kids shopping at Branson Landing, a beautiful shopping/dining experience on the waterfront that includes an entire mall of stores and restaurants as well as Bass Pro Shop and two animal attractions. Showboat Branson Belle: Care for a break during the festivities of the day? Take your students on a lunch cruise on the Branson Belle, a beautiful cruise featuring dinner and a classic Branson show in a magnificent auditorium built right there on the boat! This is an icon of Branson and not to be missed. The Haygoods: The best show you’ll ever watch……period. Nothing short of stunning, the Haygoods are a family of 8 that sing, tap dance, and play several instruments including the violin, guitar, harp, saxophone, trumpet, piano and more. They don’t just play a little bit….they play a lot and they do it well! Enjoy the visual effects and the overall performance provided by this family that, it seems, can literally do it all. 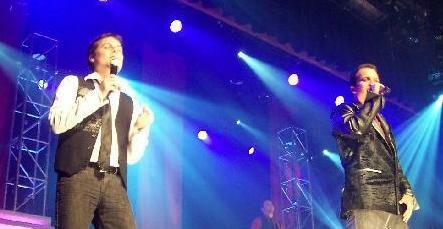 If you come to Branson, you must see the Haygoods.